Aprenda aqui o básico sobre os jogos da quarta geração de Pokémon: onde achar os itens ou Pokémon que precisam, estratégias para terminar os jogos, e discussões sobre os jogos que virão. A nintendo me surpreendeu de verdade dessa vez. eu curti a ideia, e espero q tenha coisas legais pela frente. Acho q uma pergunta importante seria: quem já tem uma Black/White é melhor comprar uma Black2/White2 ou uma White2/Black2? o masuda respondeu isso ja. black 2 é continuação direta de black, e white 2 é continuação direta de white. o ideal é quem comprou black, comprar black 2 e vice versa. Maverick Hunter escreveu: o masuda respondeu isso ja. black 2 é continuação direta de black, e white 2 é continuação direta de white. o ideal é quem comprou black, comprar black 2 e vice versa. Bom, blz, mas e a white forest / black city? Não por nada mas vai ser meio chato ter 2 delas e ficar sem a outra. Ow, animal as capas. Acho q os games vão ser uma excelente adição à série. A única coisa que já me fez estranhar foi esse design exagerado das novas forms. Mas pelo menos é inovador, já é um começo. Outra coisa que é meio óbvia mas já confirmaram é a integração dos novos jogos com a PGL. edit: um modo espectador em batalhas wi-fi seria fantástico. aliás, qualquer tipo de integraçao que envolvesse algo mais evoluido q friend codes seria fantástico! Já imaginava que viria algo do tipo (ainda mais depois de HeartGold e SoulSiver), mas jamais imaginaria ainda na geração 5. Provavelmente vou achar muito melhor que o primeiro jogo da geração 6, se for isso então a Nintendo fez igual a Sega em Sonic 3, cortou um jogo pela metade para vender mais. Será que vai ter Gray 2? Se bem que é difícil de prever esse tipo de coisa. Seja como for preferia que o título fosse um nome com segundo subtítulo como White Ying e Black Yang do que só botar um "2". 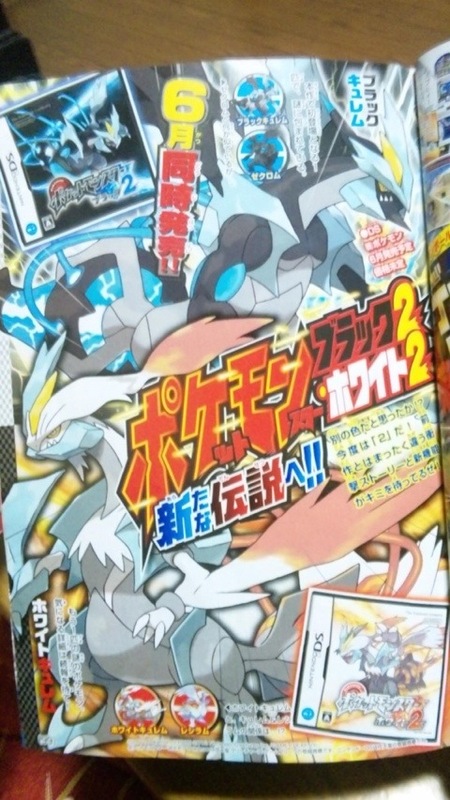 A plethora of information regarding Pokémon Black and White Versions 2 has been revealed in leaked photos of pages from CoroCoro Comics magazine. Black Kyurem is 3.3m, 325 kg. Freeze Shock is its signature move. 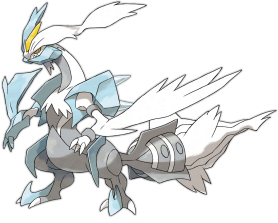 White Kyurem is 3.6m, 325 kg. Ice Burn is its signature move. The game is set two years after Pokémon Black and White. There have been many changes to the Unova region. There appears to be an encroaching ice sheet or glacier, and the water in the area around the Entralink has dried up. 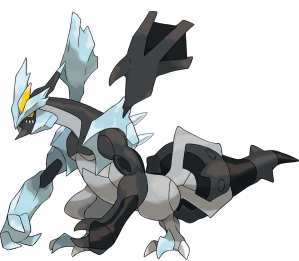 The northern and eastern parts of Unova have been covered by this ice, and Opelucid City is just on the border of being covered. There appear to be cave entrances to the glacier. There are two new towns and at least on new route to the southwest. The road between Castelia City and Nimbasa City is complete. A new building has been added to the front of Nimbasa City, and a new area to the east of the Rondez-View Ferris Wheel. Driftveil City's lighthouse is gone, and several craters have appeared in the city. Liberty Garden is now shown of the official artwork of the map, and appears to have been revamped. The construction zone and Cold Storage south of Driftveil are both gone. There is a section taken out of the side of the mountain in eastern Unova, and there are several buildings here. The Entralink's moat is now dry, and the inner area has changed. 300 Pokémon in addition to the original 156 Unova Pokémon are now available. The Unova Pokédex also appears to have drastically changed, with Riolu being #033, Psyduck being #026, and Metagross being #264. The Pokémon Psyduck, Arcanine, Lapras, Eevee, Mareep, Tyranitar, Metagross, Buneary, Riolu, Lucario, Weavile all appear to be in the new regional Unova Pokédex. There are two new player characters; the male is the characters revealed yesterday on the cover, while the female has not been seen before. 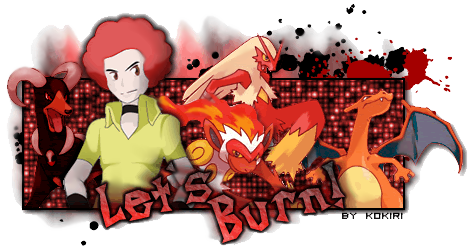 The character wearing red that was seen yesterday is the new rival; he is said to be a childhood friend of the player. He is a passionate boy who wages on a Pokemon's strength. The rival is quoted as saying "From now, I'm going to rage!" The girl with the guitar is Homika, a new Poison-type Gym Leader. Her Gym is said to be a "Live House" (a Japanese term for a music club where live bands play). She will appear in the anime in an episode on June 14. The tanned male in the swimming costume is Shizui, a new Water-type Gym Leader. He is described as a big-hearted big brother who gives passionate advice. The man in the lab coat is Akuroma. He is researching Pokémon strength. A cut-off portion of the photo mentions he is doing something regarding the latent abilities of Pokémon. He is said to be mysterious and hard to read. The new starting city is Hiougi City, located in the south-west of the map. Its main point of interest is its lookout. There is a Pokemon Center and Trainers' School; this is the first time the starting city has included either, as well as the first time the starting location is a city and not a town. There are several new facilities. One image shows a large glass tube going through water with Mantine swimming overhead. Maverick Hunter escreveu: 300 Pokémon in addition to the original 156 Unova Pokémon are now available. Tivemos migração em massa dos pokémon das velhas regiões nesses 2 anos. Era um pouco pior do que eu havia previsto. Ainda esperando um anúncio bombástico que compense a falta de pokémon novos. Etc. BW2 chegou pra toma conta geral agora tirando as novas formas do Keldor/Landuros/Tornados/Thunduros.